A Natural Family is a Healthy Family. A Wise Woman, is that who knows that there are choices and alternatives. Follows her instints and make informed decissions for her and her family. HelpingWomenOnline offers an extensive selection of uncensored information on childhood vaccinations. Because this is such an important topic, I believe that parents are entitled to a full disclosure of all pertinent data and the freedom to choose whether or not to vaccinate their children. HelpingWomenOnline provide parents and other concerned people with educational resources enabling them to make more informed vaccine decisions. HelpingWomenOnline encourages an uncensored exchange of vaccine information, and supports every family's right to accept or reject vaccines. In this page, I share with you my personal believe about the dangers of routine vaccinations. I'm one of those parents that regardless of what the vast majority of society believe, I choose not to vaccinate my son. Once I made up my mind in this aspect, I was bombarded with legal/social issues because of my decision. I was told that my son will get sick, that he will not be able to go to school. I hear a lot of misleading information and lies. I choose not to listen to those people, instead educate myself, and learn as much as I could. Now, almost 16 years later, I'm glad of the choices I made for my family. My son has not been sick one day in his life. He got chicken pox at the age of 8 years old. The doctor didn't want to prescribe anything because she knew I'll treat him with natural remedies. The doctor told me it will take him to heal about 10 days. To her dismay, he was perfectly fine after only 4 days. He didn't complaint, scratch himself or ended up with any marks in his body. His body was strong, took care of the virus, and healed itself within just a few days. He is been in school for five years now, he is in a special class for gifted children. Did I have any problems because he was not vaccinated? Absolutely not, this is when the government and the educational system lie to us. They exchange lies for financial profit. They get rich our children get sick. I do have a legal form, that I present to schools, doctors or any one else that wants to question me. This legal form, protect me and give me the right to not vaccinate my son for personal or religious reasons. I’m not a religious person, so you don't have to hold onto this excuse to make that choice. The constitution of the United States of America legally gives you the right to make this choice. Education is the only way to make informed decisions. I had never said to my clients that it would be wrong to vaccinate their children. Instead, I encourage them to get information and educate themselves about this issue. But what I always say to my clients, is that if they make the choice to vaccinate their babies, make sure they don't allow the doctor to give your child more than one vaccine at a time!. COMPLETE LIST OF VACCINE INGREDIENTS, SIDE EFFECTS AND MORE! READ!! Progressive vaccinia (vaccinia necrosum), which was fatal, in a child with an immunodeficiency. [from Fenner F., Henderson DA, et al. Smallpox and its Eradication. WHO. 1988]. Reprinted with permission of WHO. Original photo by C. H. Kempe. Generalized vaccinia. Photo courtesy of John M. Leedom, M.D. Eczema vaccinatum. Photo courtesy of John M. Leedom, M.D. For most people, vaccinating themselves and their children seems like a good idea. Vaccines are safe, effective and are supposed to protect us against dangerous infectious diseases - Right? Wrong! What you don’t know can harm you or kill you! A MUST TO SEE VIDEO!! 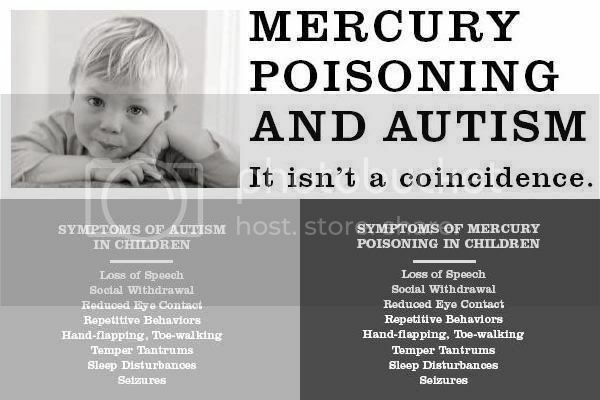 The damage, including brain damage, resulting from these toxins can vary from mild enough not to be apparent, through to severe, in some cases death. Do vaccines protect against diseases at all? Article demonstrating the ineffectiveness of vaccines and explaining the reasons for their ineffectiveness. Check out the very significant update added 16th July 2004!! Do you think Vaccinations are mandatory? Think again! Exemptions are easy to obtain in most states. Medical exemptions, Religious exemptions and Philosophical exemptions are available. Check your state laws, get forms, etc., here. Find lawyers, legal information and more. Now that you know the vaccine laws, how do you inform the authorities of your decision? Did you know that there has never been a formal study performed in the United States which compared vaccinated vs. unvaccinated children and adults yet we have been inoculating ourselves since the 1920’s. Not the FDA, not the CDC, not the medical community. Finally such a study was performed in New Zealand. This was a country where vaccination was mandatory and no longer is. Reported in the prestigious Journal of Epidemiology this study focused on the number of doctor office visits children had relating to asthma and a variety of other allergic diseases. In the vaccinated group 23.1% were seen before the age of 10 for asthma. Another 30% were cared for for a variety of other allergic diseases. In the unvaccinated population not one child under the age of 10, zero %, was seen for asthma or other allergic diseases. NOT ONE. They found these results to be true for 5 year olds as well as for the 16 year old group. Cancer is the top killer of children since 1958--the year mass vaccinations began. The swine flu virus has dominated the news over the last few months. For this reason, I hesitated to mention yet one more thing that could contribute to public fear and hysteria ...but what I'm about to tell you is too IMPORTANT to ignore. There's some bad news .. and some good news. The much-touted swine flu vaccine, which is going to be available in October, has been linked to an increased CANCER RISK. According to German lung specialist Wolfgang Wodarg (who is also the chairman of the health committee in the German parliament and European Council), the swine flu vaccine's nutrient solution contains CANCEROUS cells from animals. This has raised the question as to whether injecting such cancer cells into the human body would increase a person's risk of contracting cancer! In addition, the general public has had serious concerns as to whether the fast-tracked vaccine is SAFE and EFFECTIVE -- since it's being rushed to market without the appropriate testing and safety evaluations. ... more than 50% of doctors and nurses in public hospitals would refuse the H1N1 vaccine because they're concerned about its side effects, and have doubts about its efficacy. And according to a Fox News poll conducted in August, the MAJORITY of Americans now believe that the swine flu vaccine may be DEADLIER than the swine flu virus itself. There's a natural, scientifically proven method for creating an environment in the body which is uninhabitable by the swine flu virus, as well as other disease micro- organisms, germs and bacteria. It involves a natural oxygenating substance that makes your body immune to swine flu and virtually all diseases. I urge you to read this page and read all the information on it. ALSO make sure you view the VIDEO at the bottom of the page!! Your health is at serious risk! More important, I just purchases a book, that I'll HIGHLY recommend for ALL to read. This is the information the pharmaceutical industry does NOT want you to read. Why? Because it threatens the billions of dollars they could potentially make from the swine flu vaccine. Don't hesitate in reading the information in this book, it can save your life and the lives of your loved ones. This is one of the best pieces of information I found in long time. Fascinating information that could save millions of lives. Easy to read, right to the point and a blow mind natural remedy so easy for any one to use at home. I recommend it to every one of my friends, family members, clients and every one I know! Subscribe to receive my newsletter, you are going to love it!